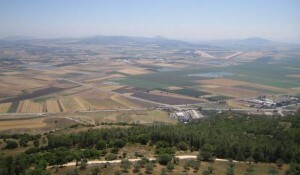 Megiddo is one of the most interesting archeological sites in Israel. There are nearly 20 layers in the excavation, each representing an older civilization. It was one of the earliest Canaanite cities and has a long history. It’s mentioned often in Scripture. 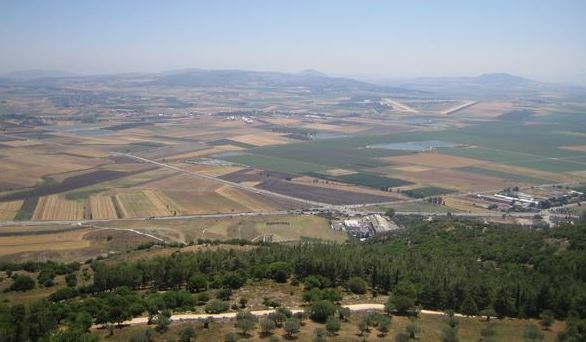 According to Judges 1:27, the Israelites failed to drive out “the inhabitants of Megiddo and its villages.” According to 1 Kings 9:27, Ahaziah, Judah’s king, died there as did Josiah as recorded in 2 Kings 23:29. There are other mentions of the site as well. But the most famous mention is its mountain “Har-Megiddon” or Armageddon. In the valley is the plain of Megiddo stretching out for miles. That’s the plain on which the last battle on earth will take place which will result in the end of the world as we know it. It’s also referred to as the valley of decision. Armageddon is a term used to describe the war to end all wars. WWI was touted to be that war. It wasn’t. In the “Hunt for Red October” parts of this passage was read to allude to the fact that the caterpillar driven submarine, Red October, was built as a doomsday weapon designed to start Armageddon. Terms such as “the Dragon,” “The Day of the Lord, “the beast of Revelation,” “the False Prophet,” and “Armageddon” are often part of the vocabulary modern prophets use to elicit fear from the people. It conjures up “end of the world” scenarios. But for the sincere believer there’s nothing to fear. We know who wins. Further, Paul tells us in 2 Thessalonians 2:2, “Do not become easily unsettled or alarmed by some prophecy, false report or letter supposed to have come from us, saying that the Day of the Lord has already come.” Further, Jesus tells us not to believe them. He said, “If anyone says to you, ‘look, here is the Christ!’ or ‘There he is!’ do not believe it.” For the sincere believer, we have God’s Word on heaven. We have nothing to fear. Jesus said, “Heaven and earth will pass away, but my words will not pass away. But concerning that day or that hour, no one knows, not even the angels in heaven, nor the Son, but only the Father” (Mark 13:31-32).